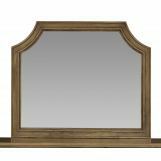 Classic elements of arched silhouettes and stepped out molding, the Brussels Bedroom set has a gracious air about it that conveys a calmness. 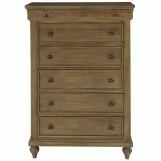 It’s finished in a toffee wood finish with a sand color fabric. 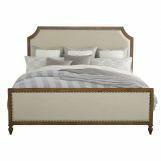 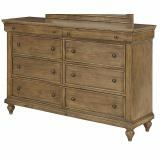 Matching bed, dresser, nightstand, mirror, and chest Brussels Bedroom pieces to complete the look.